overdone it at the gym your muscles feel sore and tired. What is a Shooting Pain in the Muscles? sustained, and it can affect one muscle or many. What Could Cause Shooting Pains in the Muscles? experienced in one muscle or one set of muscles. Should I See a Doctor for Shooting Pain in my Muscles? to get it checked out. caused by a variety of conditions. body, fatigue, sleep problems, anxiety, and overall stiffness. pain in the muscles and overall. that could be caused by anxiety. 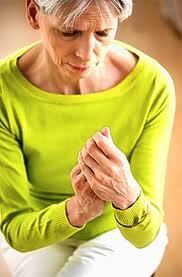 the affected nerve and can cause muscle pain and stiffness. irritation; a common neuralgia is shingles. pain related to post-shingles neuralgia. linoleic acid --- an omega-6 fatty acid --- may help. legs and the arms caused by too little blood flow. when you are at rest as the condition progresses. walking distance compared to placebo. fever, fatigue, muscle pain, joint pain, and rash. pain, as part of an overall treatment plan for the condition. which also involved participants taking bioflavonoids.